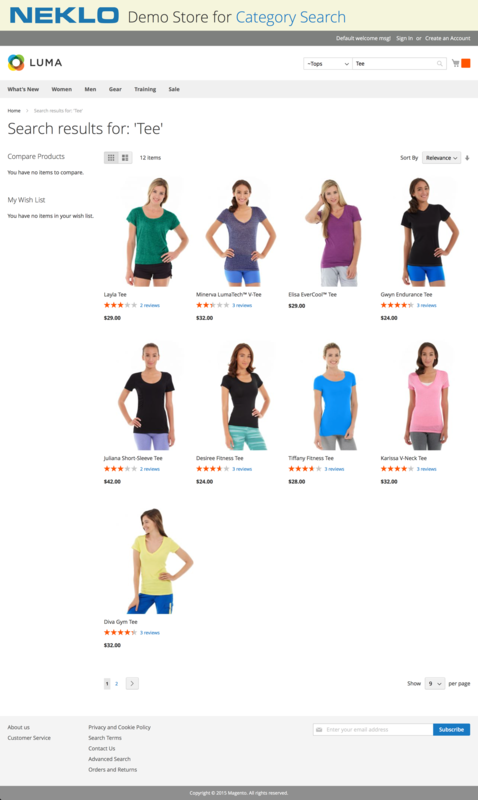 Category Search bar can reduce the amount of customer’s steps to the basket and increase conversion rate. Most site visitors tend to use the search option instead of endlessly browsing the catalogue, trying to find a single item they need. And if the search takes a little bit more time than was expected, it can result in a loss of a potential customer. Whether your store catalogue has two or two hundred categories with some products listed in it, you definitely want to navigate your customers to the group of products they came for as easy and fast as possible. It doesn’t matter if they are searching for a certain product or just want to check out what you’ve got on display, now they can find a specific item or type of products they need by choosing their category. 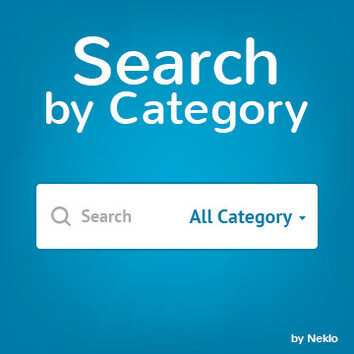 With Search by Category extension the categories will be displayed in the form of a drop-down list, which can be customized depending on the quantity of the categories and their hierarchy. When enabled, Search by Category makes a combo box with the existing search bar. In the admin panel you can enable showing the category field in the search bar of your store, choose what categories will be shown in the drop-down list, specify the depth of the category tree and set the characters to indicate tree level indentation. 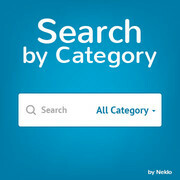 To choose from a variety of options, one needs to enter any search request in the search field. The following drop-down list will show all the available categories and subcategories. With Search by Category extension you can make your store more functional and deliver a better shopping experience for each of your customers. It is a perfect and simple tool for you to push your sales up by making the store navigation more accurate.